If you didn’t already know, we’re right in the middle of Teacher Appreciation Week. What better time to celebrate those individuals who have dedicated their lives to providing a better education (and future) for others? The best educators are passionate about what they do, putting in extra time to provide the necessary means for their students to meet success—sometimes without even realizing it. Teachers often become mentors by assisting their students in overcoming adversity and instilling a confidence that some may lack, inspiring students to reach goals and exceed their own expectations. But we’re not solely talking about those standing up in front of the classroom. Often time, teachers are themselves the students—and vice-versa (read on and you’ll see what we mean). So with that said, we’d like to show our appreciation for this hard-working community by sharing some of our favorite films exemplifying the power and influence that teachers wield. In Deliver, Edward James Olmos delivers an iconic performance—one worthy enough to land him a Best Actor nomination at the 61st Academy Awards. 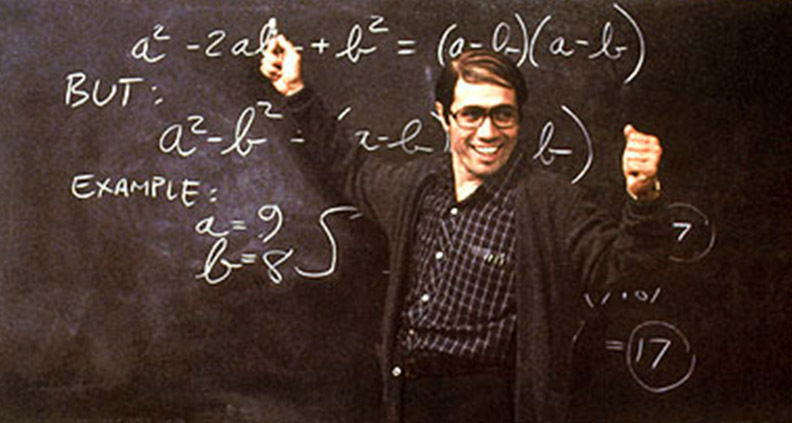 Based on a true story, Olmos plays Jamie Escalante, a high school mathematics teacher who manages to inspire his students to greatness, even as they’re on the verge of dropping out. Set in East LA, the stereotypes the larger education community believes about these troublesome Hispanic students are proven false when Escalante challenges his class to excel in AP Calculus. His colleagues fail to understand why Escalante puts forth such Herculean effort toward a group of students that seemingly have no hope for success; the system has led them to perform far below their academic capabilities and deemed them inept. The film depicts Escalante’s struggle: fighting for something others don’t believe in while maintaining faith in those you truly believe have potential. Here’s the most extreme example of an “unconventional” teacher on this entire list. Dan Dunne (Ryan Gosling) is a middle-school history teacher who rejects standard curriculum in favor of the concept of dialectics, encouraging spirited debates among his students, prodding them to participate and learn. In the classroom he seems very likeable. But his students don’t know about the dark hours he spends alone outside of school addicted to crack. Drey (Shareeka Epps) is one of Dan’s young female students and a star player for the basketball team he coaches. But her life is far from perfect, with an overworked single mother, incarcerated brother and a non-existent father. When Drey catches Dan using, they begin to form an unlikely friendship, helping each other to stay away from going down their respective destructive paths. In almost any role Robin Williams plays, he somehow manages to teach us a lesson or two (or three or four) about life. Good Will Hunting is the peak example of this, based on an Oscar-winning screenplay by stars Matt Damon and Ben Affleck. 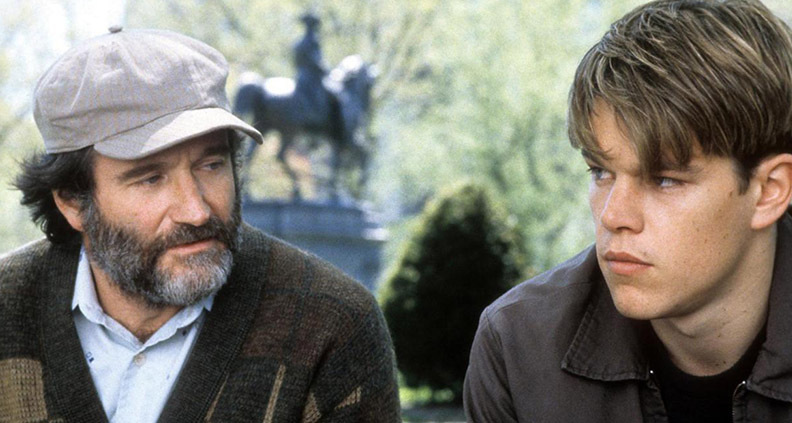 Williams plays Dr. Sean Maguire, a psychologist called upon to help Will Hunting (Matt Damon), a janitor at MIT with an undiscovered genius in mathematics. After Hunting is arrested following a bar fight an administrator recommends that he should study mathematics and participate in therapy sessions rather than be incarcerated. In a matter of just two hours, Hunting shows just how powerful and influential interpersonal relationships can be. Dr. Maguire not only helps Hunting overcome his inner demons, but Hunting helps Maguire recover from his haunting past. Williams won the Academy Award for Best Supporting Actor for this movie—an undeniably re-watchable tearjerker. Some teachers guide people along the way to becoming exactly who they want to be, while others may provide a perspective on just the opposite. Some teachers may be sitting in Washington Square Park right now. 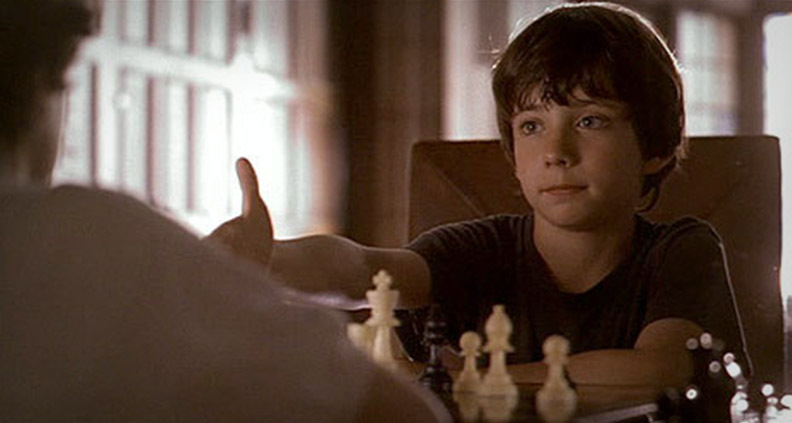 Based on the book by Fred Waitzkin, Bobby follows a chess prodigy named Josh (Max Pomeranc). After Josh challenges father Fred (Joe Mantegna) to a chess match and wins, Fred realizes his son’s gift for the ancient game, pushing Bobby to unlock his full potential and become a young champion. Josh’s parents hire Bruce Pandolfini to teach him how to strategically play, grooming him to become a competitive chess master and adopting the ways of chess legend Bobby Fischer. But after meeting a “speed chess” player in Washington Square Park, Josh begins to question his mentor’s tactics and discovers his own way of becoming a winner. 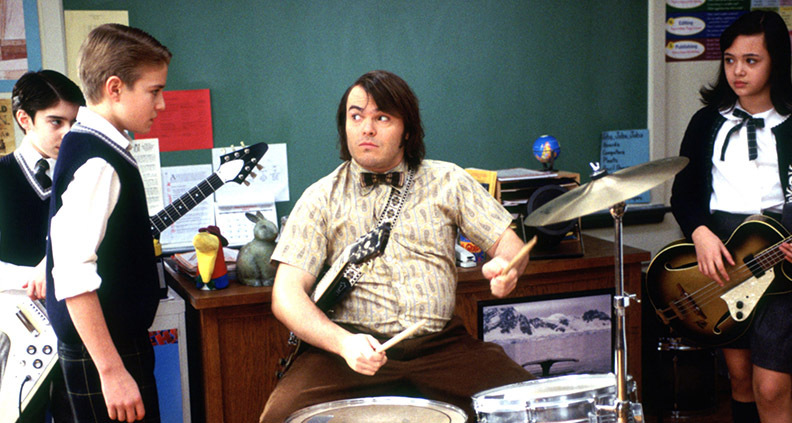 The director of Dazed and Confused (Richard Linklater) and writer of The Good Girl (Mike White) teamed up this musical coming-of-middle-age comedy, about a struggling rock star posing as a substitute teacher at an elite prep school. Dewey Finn (Black) gets kicked out of his band for his unfavorable on-stage antics. He’s then threatened with eviction from his apartment for being four months behind on rent. Desperate to make money and regain his dignity, Dewey disguises himself as his roommate (White) and accepts a substitute teaching position at a stuffy prep academy. Overhearing his students’ talent for music, Dewey decides to enlist them to perform with him at a local Battle of the Bands. This hilarious movie combines the quirkiness of Jack Black’s manic on-screen persona with the wit and compassion of his young students—easily warming our heart with its tender humanism. So, what’d we miss? Probably lots of stuff, right? Let us know your favorite inspirational-educator film picks in the comment or find us on Facebook, Twitter and Instagram.